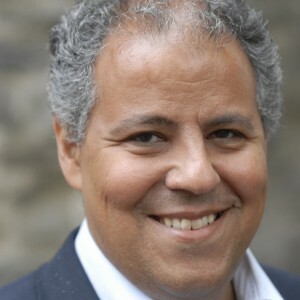 Dr. Sanoussi Bilal is a Senior Executive and Head of Programme at ECDPM in Maastricht, the Netherlands and in Brussels, Belgium, where he is based. He heads the Trade, Investment and Finance team of ECDPM’s Economic and Agricultural Transformation programme. With a background in economics and international relations, he has a PhD in international economics from the University of Birmingham (United Kingdom), a Master from the Graduate Institute of International and Development Studies in Geneva, and a Bachelor in Economics from the University of Geneva (Switzerland). Before joining ECDPM, he worked at the Overseas Development Institute (United Kingdom), the European Institute of Public Administration (the Netherlands) and the Economics Department of the University of Geneva. His expertise relates mainly to economic and trade issues for inclusive growth, regional integration processes and development, with a focus on Africa and the ACP-EU relations (including economic partnership agreements). His current activities focus on the structural transformation dynamics in Africa and financing for development, and include projects on trade and development; sustainable global value chains; EPAs; dynamics of regional integration processes in Africa; aid for trade; private sector and development; economic diplomacy; (resource-based) industrialisation; and emerging players in Africa. He is the author of numerous publications, as well as the founding editor of the magazine GREAT Insights dedicated to governance, regional integration, agriculture and trade matters. Dr. Bilal is also a Fellow at the West African Institute. Can Africa and Europe jointly walk the talk on investment mobilisation? Public support to business: Combining commercial and development approaches? How to assess the West Africa EPA? How do European Donors engage with emerging development partners? Economic Partnership Agreements (EPAs) What's Gone Wrong? Editorial: From Growth to Transformation - What Role for the Extractive Sector? Economic Partnership Agreements: Will Europe and Africa Avoid a Diplomatic Tragedy? Debt Relief - "Where Do We Stand, Where Do We Go?" Is the EU a model of regional integration? Beyond Development Aid, EU-Africa Political Dialogue on Global Issues of Common Concern. Count down to concluding EPAs: what's really at stake?